Ever wonder which behaviors and practices define a 'successful SEO'? 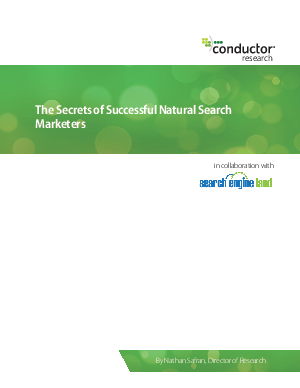 With this latest research study, Conductor and Search Engine Land, analyze responses to a survey of almost 400 SEO professionals to determine common practices that best-in-class organizations utilize to drive natural search success. See more secrets revealed in the study.